The PFI Introduction to Freediving course is an experience program that educates curious audiences on safety and problem management of freediving and breath-holding. This program does not include specific skills development or certification, but provides a foundation for people who want to understand the benefits of freediving before taking a recreational freediving course. 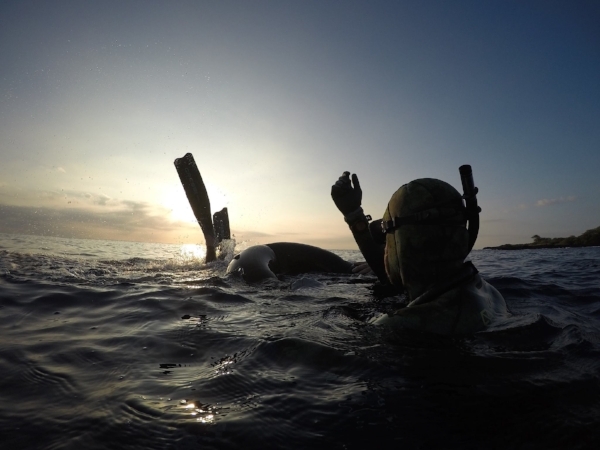 The PFI Safe Buddy program is designed to educate uncertified freedivers and aquatic-minded people on the safety and rescue techniques necessary for breath-holding. This program will help increase safety awareness during recreational breath-holding/freediving activities. This course does not include any instruction on increasing freediving performances or improving personal freediving technique. This entry level certification course is for individuals who want to learn the basics of surface snorkeling or limited freedives for the purpose of enjoying the underwater realm in a safe, knowledgeable, and comfortable manner. Learn to freedive down to a maximum depth of 20m/66 feet! This program teaches fundamental freediving techniques for comfortable enjoyment of the aquatic world to depths of 20m/66 feet. You will also practice Static Apnea to help develop your breath-holding abilities and in-water comfort. The PFI Intermediate Freediver course instructs competent and comfortable freedivers in essential safety and problem management for breath-hold diving, with a strong emphasis on proper technique development. This program also includes details on training and equipment for diving to depths of 40 meters/132 feet. Learn to freedive down to a maximum depth of 60m/198 feet! The PFI Advanced & Safety Freediver instructs competent and comfortable freedivers who have successfully achieved the PFI Intermediate Freediver certification. The course teaches advanced safety and problem management with an emphasis on advanced and competitive freediving techniques, training, and equipment for freedives as deep as 60m/198 feet. Divers will also learn how to develop training programs to better their own physical and mental performances for deep freediving. Regular scheduled programs do not always work well for everyone. Maybe it’s a tight schedule or maybe you just have a group of good friends that want to do it together. Whatever the reason, PFI offers private courses at all levels.